While Drowned Cave is the active location, Undead enemies cannot be engaged (return any engaged enemies to the staging area). 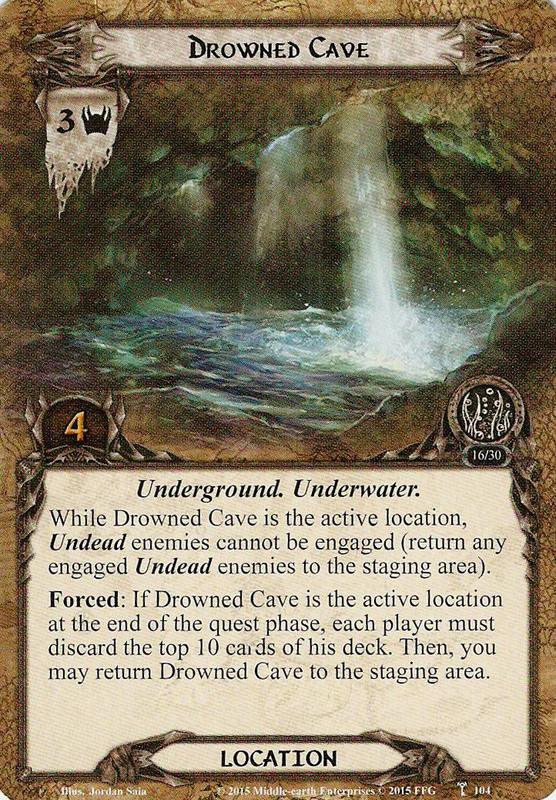 Forced: If Drowned Cave is the active location at the end of the quest phase, each player must discard the top 10 cards of his deck. Then, you may return Drowned Cave to the staging area.